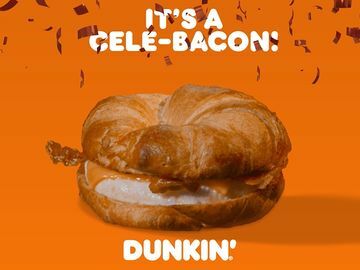 Dunkin’ Donuts is running on Captain America: The First Avenger, this summer, and you can too! 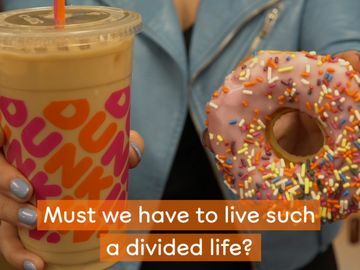 We’re joining forces with Marvel® Studios and are rolling out the pink and orange carpet for DD fans with delicious new Captain America inspireDD donuts and a refreshing new Coolatta® beverage. 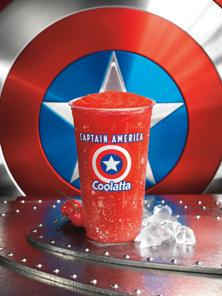 Captain America Coolatta® Extended Cut (HD) produced by our frienDDs at Hill Holliday in honor of Captain America: The First Avenger. Starting June 27, we’re introDDucing two new donuts, including our first-ever star-shaped donut, the Captain America Donut. This delightful new donut is filled with jelly, frosted with vanilla icing, and topped with patriotic red, white and blue sprinkles. Also exciting for DD fans is our colorful new Stars & Stripes Donut, which is frosted with vibrant red icing and topped with red, white and blue sprinkles. Tip: With their red, white and blue color scheme, both of these donuts will also be a great addition to your July 4th celebration! 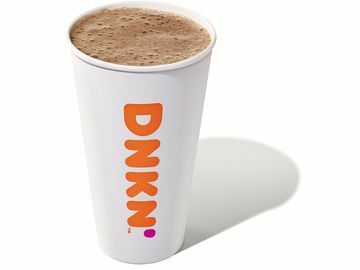 In addition to donuts, we’re excited for DD fans to try our new Cherry Coolatta® beverage, which has a refreshingly sweet, yet tart flavor. 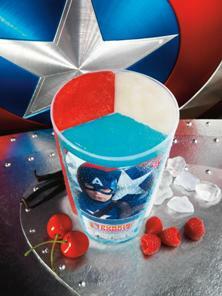 In celebration of Captain America: The First Avenger, DD fans can be purchase our Cherry Coolatta® beverage, along with two other Coolatta® flavors, in our limited-edition, collectible First Avenger Tri-Cup. 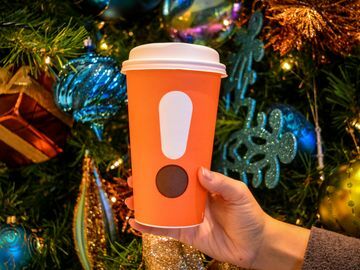 Featuring an innovative three-chamber cup with images of Captain America®, our recommended trio is red (cherry), white (vanilla bean) and blue (blue raspberry). 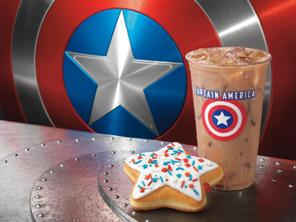 Have you tried any of our new Captain America: The First Avenger inspireDD products? Let us know what you think in the comments section below!